Children aged 5-12 are invited to Fortnum’s for a special Royal Wedding themed arts & crafts workshop. 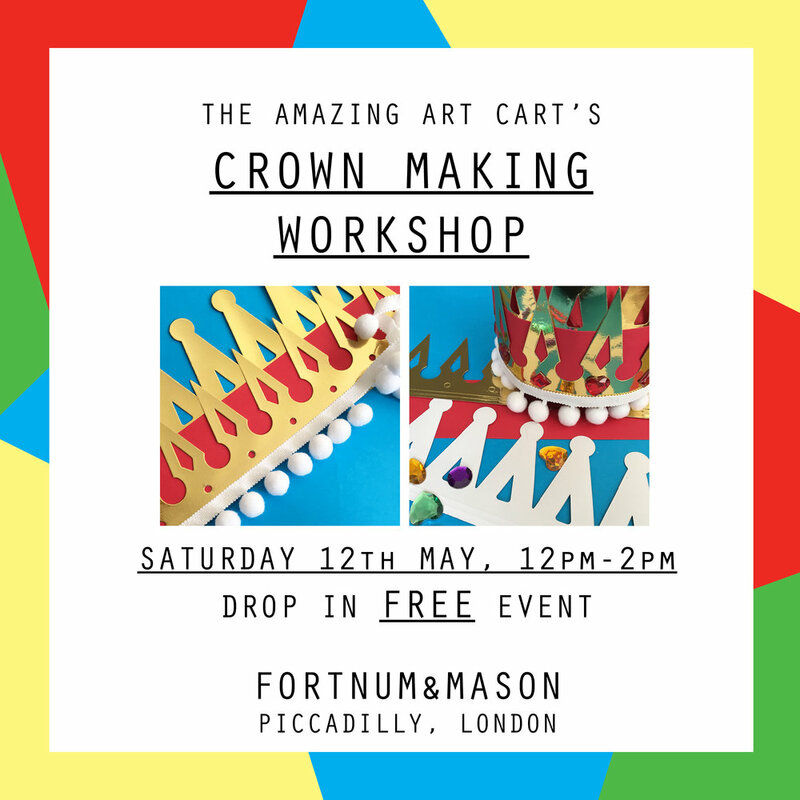 Join our resident arty experts as they teach young Fortnum’s visitors how to create and decorate their own crowns to celebrate the Royal Wedding of Prince Harry and Meghan Markle. Join us for a drop-in session 12pm-2pm. Participating children must be aged 5+. Children up to the age of 8 must be accompanied by an adult, while children aged 9 and over may be left unattended, but parents must remain in store while the workshop is running.